Find free classified ads for Business Opportunities for sale and to buy in Bristol. Shown below are classifieds for Business Opportunities. Please use search box above to find other items in Business Opportunities Bristol or look at the Bristol for neighboring places in the locality. Office to Rent in Weston Super Mare Furnished or Unfurnished Fully Staffed Reception 24 hour Access Fully Alarmed & Secure Premises Large Free Car Flexible Terms 2 hours Free Boardroom use per month Meeting & Training Rooms to Rent ONLY £215 per month including internet (suitable for 1-2 persons) this price includes vat. The property is situated within the prime retail area in the precinct of Portishead High Street. Portishead High Street is an affluent and busy high street and an established and busy retail location which provides a mix of local retailers and multiple occupiers to include Barclays, New Look , Costa, Waitrose, Specsavers , Argos, and Boots to name but a few. 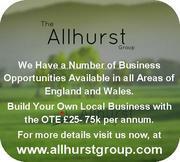 Business Opportunity to Earn £25 - £75K per year. This opportunity is open to everyone (Subject to Acceptance) whether you are unemployed or just need extra money. We are looking for hard working, self-motivated, enthusiastic people to join our successful team of agents. Enthusiasm is more important than experience as training will be provided. You will be working in your local area on a full or part time basis and the hours that suit you, the choice is yours. We are local miners here in West Africa we have gold dust and we want to sell it out side the country please can you buy it for us or get us a good buyer so we give you a commission. Quantities available : 300kg in stock now Product 22 carats +, 96 % purity, price 25, 500 per kilo Ghana best gold. United Kingdom free classified ads for Business Opportunities, Bristol, Business Opportunities free ads Bristol, Business Opportunities for sale Bristol, Business Opportunities to buy in Bristol. This page is a listing of classified ads for Business Opportunities category in Bristol. This section includes classifieds for sale and to buy in Bristol. Business Opportunities Bristol ads Bristol, Business Opportunities classifieds Bristol, Business Opportunities free ads Bristol, ads for sale Bristol, ads to buy Bristol, FREEADS in UK. Find here ads for sale, to buy and rent in Bristol. Goods for sale in Bristol, vehicles for sale in Bristol, Bristol real estate for sale, Bristol property for sale, property for rent in Bristol, business ads in Bristol, Bristol business classifieds, services in Bristol, Bristol services ads, jobs in Bristol, pets for sale in Bristol, Bristol dating, Bristol cars for sale.